Whether or not you're a beekeeper, you've likely heard of colony collapse disorder, the mysterious phenomenon which causes honeybees to become lost and confused, leading to the collapse of entire colonies of otherwise healthy bees. Over the past decade, the disorder has led to worldwide declines in honeybee populations. According to Phys.org, managed colonies had decreased by 25 percent over 20 years in Europe and 59 percent over 58 years in North America, as of 2016. 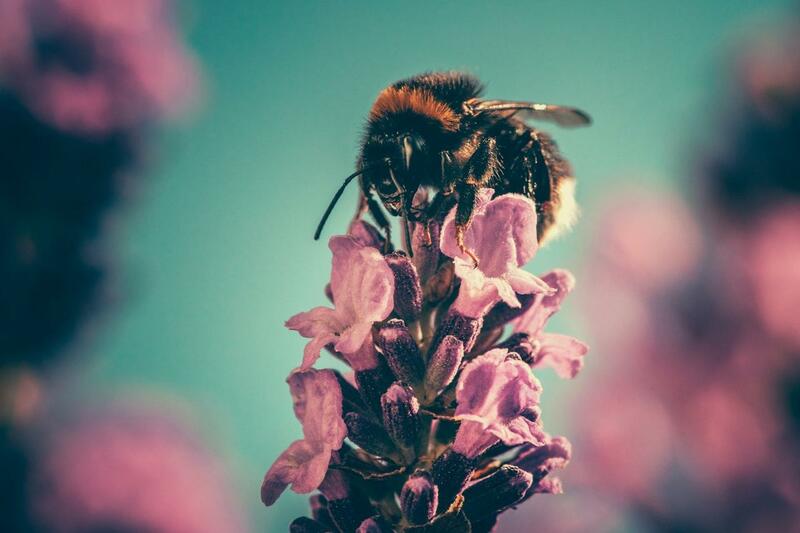 Over the past decade, colony collapse disorder has become well known as a serious environmental threat, as well as a threat to the human food supply, as reported by the New York Times. The good news is (perhaps because of colony collapse disorder's prominent spot in the public eye for over ten years) concerned citizens and policymakers have been busy finding ways to combat its disastrous effects. Efforts have been underway in Europe to completely ban the use of pesticides known to cause colony collapse disorder. In the U.S., the Environmental Protection Agency (EPA) has banned several similar pesticides and restricted the use of others. In addition, many beekeepers and bee hobbyists have banded together to create new ways to raise bees more safely. One such team of innovators, Open Source Beehives, recently released new technology which listens to and monitors the activity of managed beehives, and alerts beekeepers if something is amiss, providing a powerful tool for combating colony collapse disorder. Open Source Beehives is known in the beekeeping community as the inventors of the "downloadable beehive," beehive designs which can be purchased and then "printed" by customers onto sheets of plywood and easily assembled with few tools. Now, the company has created Buzzbox, a solar-powered sensor which can be placed on a managed hive to monitor the activity within. According to Open Source Beehive's website, Buzzbox monitors a host of environmental factors, including temperature, humidity, and barometric pressure. The sensor is linked with an app, which relays information to beekeepers in real time. The sensor can even alert beekeepers if their hives are being moved around or knocked over. But perhaps Buzzbox's most intriguing feature is its ability to "listen" to the sounds a hive makes--the sounds of the actual bees themselves and feed that information through an online audio analysis system to check the health of the hive's occupants. This information is then relayed to beekeepers via "hive health updates" on the Buzzbox app. Buzzbox's listening feature allows beekeepers to monitor the health of their bees from afar and get advance notification if something is amiss. For example, if the audio from a hive isn't loud enough, it could indicate the beginnings of colony collapse syndrome, wherein not enough bees are returning to the hive. The beekeeper might then have time to take steps to save the colony, such as moving the hive to a different location, away from environmental factors that could be causing the collapse. According to Open Source Beehive co-founder Aaron Makaruk, Buzzbox serves two main purposes. By identifying when colonies are near-collapse, Open Source Beehive can "correlate their signals with hypothesized causes, such as pesticide exposure and parasite infestation," thereby gaining information that can be helpful in the future. Buzzbox can also help to "warn beekeepers of imminent danger so they can intervene and attempt to save their hives." With its combination of simple designs and cutting edge technology, Open Source Beehive, which has described itself as "a team of ecologists, beekeepers, makers, engineers, and open source advocates", may well represent the future of beekeeping, and solutions to environmental problems in general.